A simple shadow, a haunting sense of foreboding. 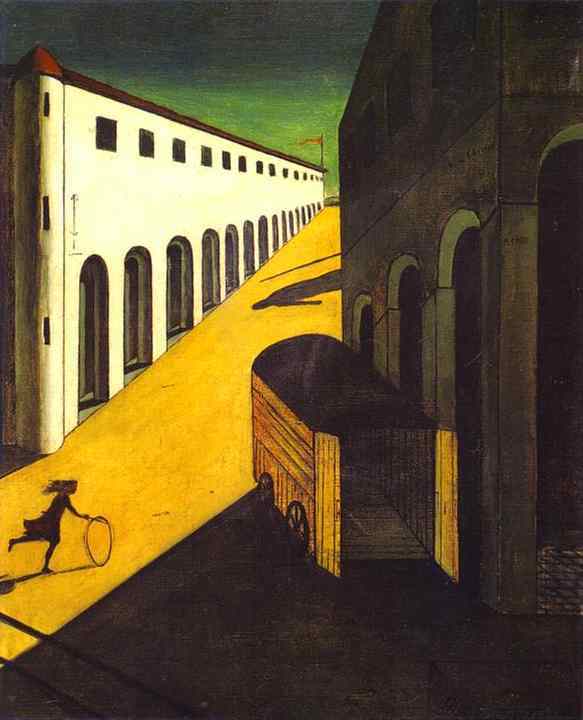 De Chirico was a magician at this. Hard to believe this painting is more than 170 years old (predating Impressionism by decades). It’s a vortex of splash and chaos, the schooner captured only by a burst of light in the distance. 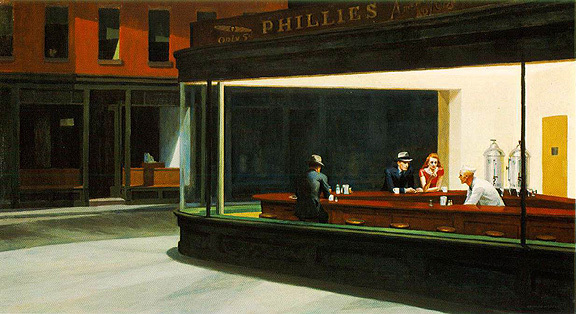 Despite its ubiquitousness in the American art landscape, I still love the movie-set-like isolation of this and other Hopper works. 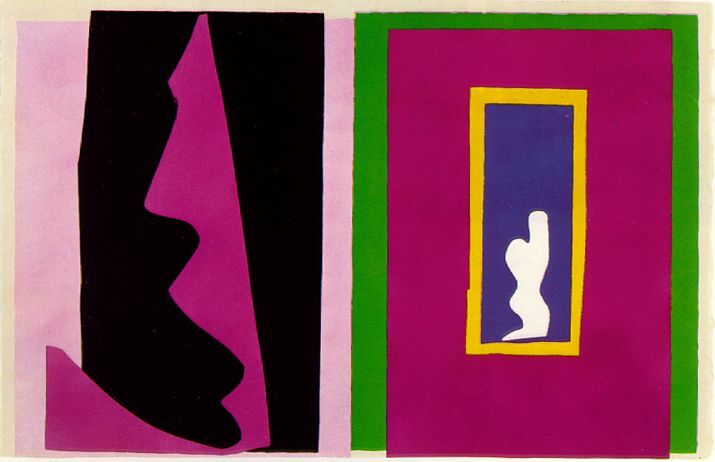 Perhaps not the “great” Matisse by standard definition, as Jazz represents his turn to mediums other than oil after disability by illness. But the collection is fun, fresh, and brilliantly colorful. 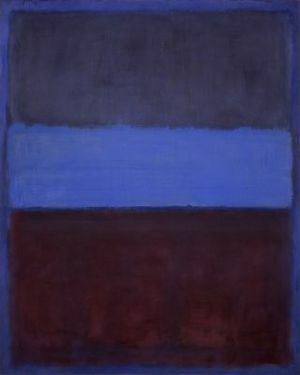 Ah, Rothko. Still hope to visit the Houston chapel where people go just to sit and meditate amidst his paintings. I love these paintings and your thoughts on them. The de Chirico brings to mind mysterious books I read as a child, the Turner is absolutely amazing – what incredible light! I’m familiar with the Hopper – like seeing an old friend – but the Matisse is new to me and what can I say about Rothko that hasn’t been said? This was nice to see at the end of a long day. I visit the Hopper house in Nyack, New York every year. I love his work and when I visit his house looking down on the Hudson I can imagine him painting there. Great art all around. Loved looking at the paintings, reading the artist quote, then your comments. Marvelous. Wonderful selections. Those artists are also among my favorites. 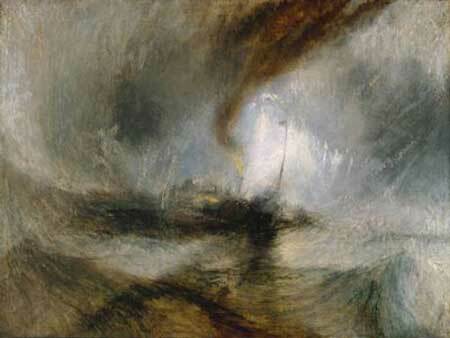 Love Turner’s painting.